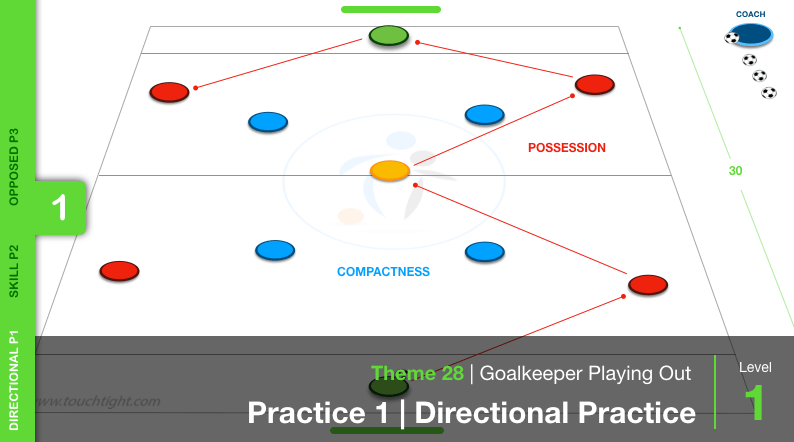 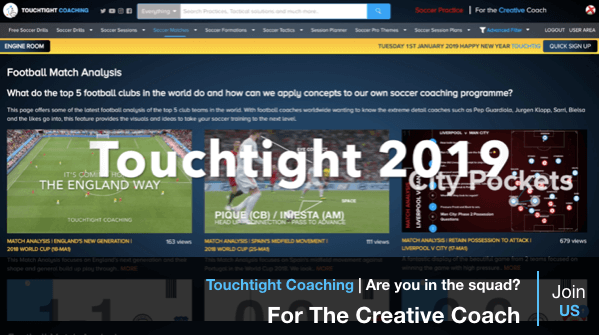 Monday 22nd April 2019 Touchtight Articles: LATEST CONTENT: Improve Final 3rd Combinations | Skill (07-P3), Progressive Possession | Function (18-P9), GK HANDLING - TECH (26-P1), Winning Possession In MF Area - Skill (11-P4) OUR TIERED MEMBERSHIP: To make it simple, articles are colour-coded: Level 1 - GREEN, Level 2 - BLUE, Level 3 - PURPLE, Level 4 - GOLD & Level 5 - RED DIY Session Planner Don't forget to create your own practices with our session planner (free trial available on request) Social Media @TouchtightCoach Please connect with us across all platforms EMAIL US - ...for any requests, feedback or simply to see what we have coming up. 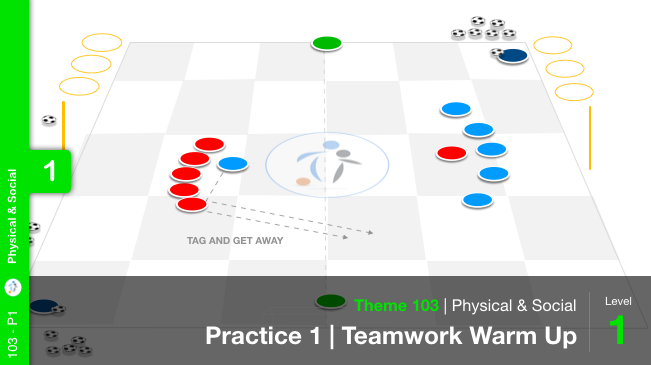 FRESH WEEK.. FRESH IDEAS.. LET'S GO..
Our free Soccer Practices, allow every soccer coach worldwide to apply these creative game based principles to their own football practices, encouraging players and coaches to be more creative without worrying about organisation. 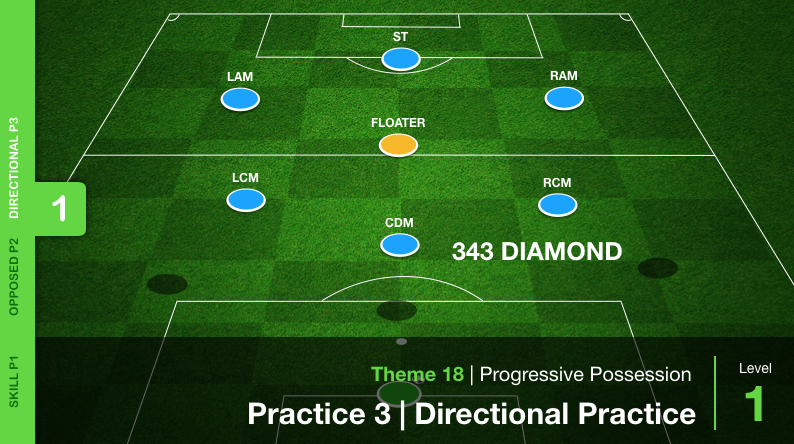 Simply click any of the Soccer Drill thumbnails to view the animated football practice, or click on the article title to see specific detail about each football drill. 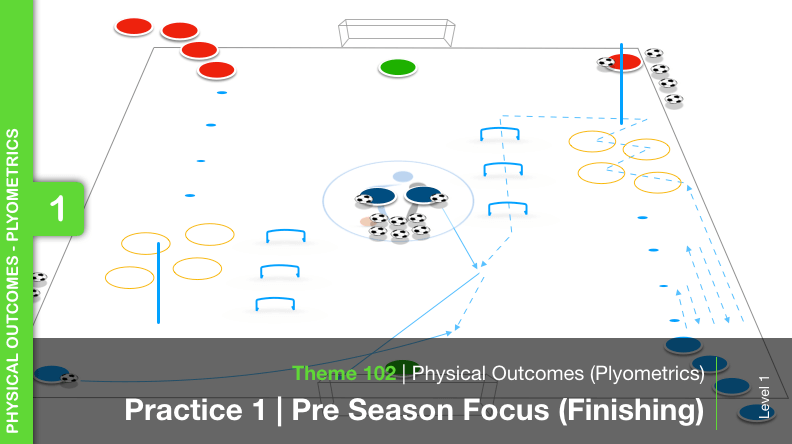 You will also be able to print and share coaching sessions to support peer coach and player game understanding.